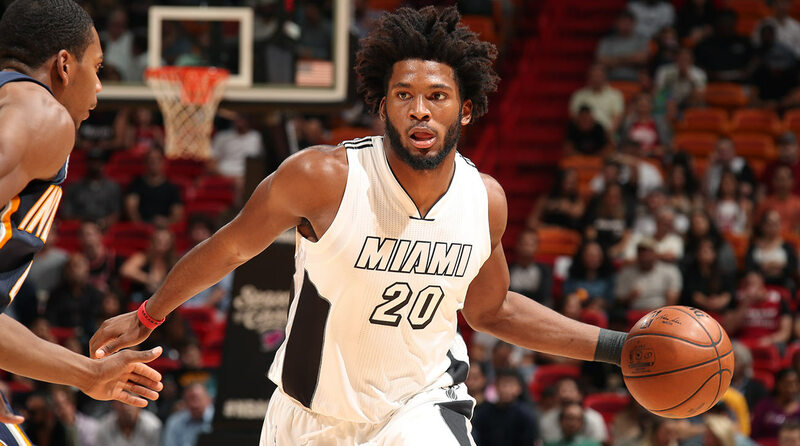 Justise Winslow's injury complicates the Heat's future beyond this season. Without a key building block to evaluate, Miami is left guessing again. The Miami Heat’s tanking mission became significantly less difficult Wednesday night, when the team announced second-year forward Justise Winslow would undergo surgery on a torn labrum in his right shoulder, likely ending his season. While Winslow was still struggling to find his offensive game in a larger role in his sophomore campaign, he remained a positive factor for the Heat, boosting his team's net rating by 4.6 points when he was on the court. In the short term, Miami won't be upset as the losses continue to pile up, as nailing a lottery pick in this summer’s draft will be crucial to the franchise's future. But in the long term, Winslow’s injury clouds what remains a very complicated rebuild for the Heat. If there is one thing palatable about tanking, it’s the opportunity for teams to give their young players an obscene amount of minutes to improve their game. Due to injuries, the Heat have hardly had that luxury this season. A revelation off the bench during his rookie season, Josh Richardson has missed chunks of time this year and continues to play despite wrist issues. Winslow appeared in only 18 games. The Heat’s young core of Winslow, Richardson, Tyler Johnson and Hassan Whiteside played in only 90 minutes together this season, and while that four-man group throttled opponents, the sample size is far too small to draw any conclusions. And that’s ultimately what will hurt the Heat most moving forward. Not only does Winslow lose practically an entire season to improve his game, but Miami’s level of guesswork now increases significantly moving forward. Is Winslow the player to build around? Is Winslow the right fit with Whiteside? While the Heat will still get good looks at Johnson and Richardson, they will lose a critical year in figuring out Winslow’s ceiling and fit with the current core. And Miami cannot afford to make many misses the next couple seasons. Johnson and Whiteside are already on substantial contracts, with the latter also a few years older than the rest of Miami’s core group. The Heat also still owe two future first-round picks to Phoenix as part of the Goran Dragic trade, an issue compounded by the new CBA, which should restrict some top-end talent movement in free agency, creating an even heavier emphasis on the draft. All of this can change for the Heat this summer if Pat Riley is able to draft someone who immediately shows signs of becoming a franchise star. The young core can settle into logical roles. Some players could potentially be packaged to deal for another All-Star. But even selecting in the lottery in a loaded class is no guarantee. Sometimes you end up with Dwyane Wade, other times you get Michael Beasley. Make no mistake, the Winslow injury stings for the Heat. Miami has certainly been a little extra cautious with injured players as the organization keeps an eye on the bottom of the standings, but having Winslow in the lineup and seeing where he could take his game was an important facet of the Heat’s rebuild. The Heat still have more bottoming out to do. Dragic could net them another first-round pick at the trade deadline, particularly because of his reasonable contract (he signed a five-year, $86 million deal in 2015). And Whiteside looms as another asset despite the commitment the franchise made to him last July. But sooner rather than later, the Heat will need to decide who exactly is worth keeping around, and which players will be responsible for returning the franchise to contender status. Miami has been dealt blow after blow the last three seasons, from LeBron and Wade’s departure to Chris Bosh’s health status. Those seismic shifts have made the Heat’s future extremely hard to predict. And now, Winslow’s injury is the last thing Miami needed—another question mark.